A Cessna with attitude, this Australia based A-37 is a real crowd pleaser in a land down under! The epic rebuild of the only fighter aircraft that survives of those that were present at Pearl Harbor during the Japanese attack on December 7, 1941. Energy drink company Red Bull has an impressive air force, which it uses to fly the brand’s name at airshows and other events throughout Europe. 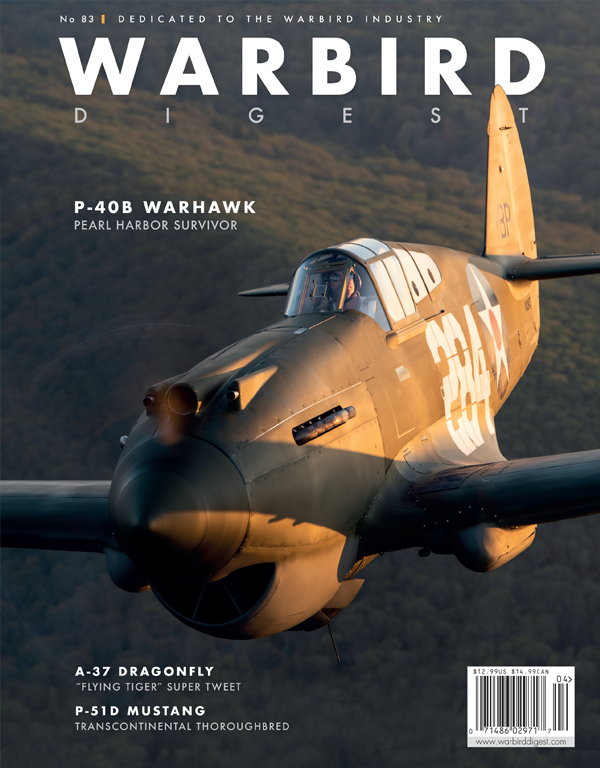 Warbird Digest chronicles the history of a well-known racing Mustang that belonged to E.D. Weiner and appeared in many spectacular guises through the years.